Ah yes, the berry that made us famous! Guarana (Paullina Cupana) is a nut-like seed of a climbing vine that grows in the Amazon basin in Brazil. Guarana has been used for centuries as a natural energy supplement and today over 25% of the soft drinks on the market in Brazil contain Guarana as a main ingredient. Guarana is used as a natural aid to increase performance, be it physical or mental. Guarana is also said to help after strenuous exercise by cleansing the body of lactic acid buildup and thus bringing energy levels back to normal. In the United States Guarana holds a GRAS-status (Generally Regarded As Safe). SEADS LAN Party has been offering Bawls at our Events for the past 3 years and with the recent problems Bawls has experienced with Distributution of their product SEADS wishes to offer Bawls to anyone who wishes to purchase their product. Unfortunately we can only offer the product by the Case unless you attend one of our events. 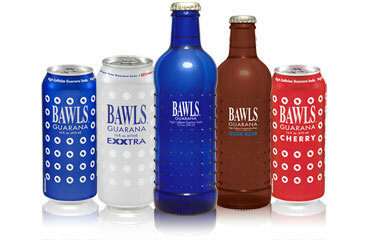 At all of SEADS LAN Parties we have lots of Bawls and you can purchase by the individual Bottel from us.